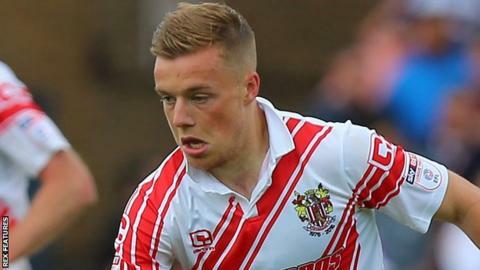 Midfielder Tom Conlon has signed a new undisclosed-terms contract with League Two play-off hopefuls Stevenage. Conlon, 21, was ruled out for much of the season in August with a cruciate knee ligament injury having made five appearances for Darren Sarll's side. The former Stoke City Under-18s player joined Boro from Peterborough United and made 35 appearances in all competitions last season. Stevenage are currently seventh, occupying the final play-off spot. With two games to play, the Boro are one point clear of three teams - Mansfield, Wycombe and Carlisle - in the race for a top-seven finish. The closest play-off race ever? Read more on League Two: The closest EFL play-off race ever?